Blocks, Borders, Quilts! 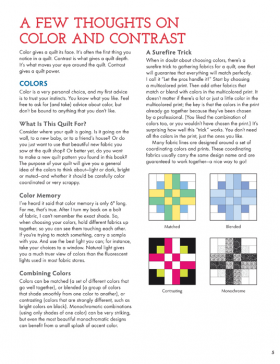 A Mix-and-match workbook for designing your own quilts by Sunny Steinkuhler (published by Martingale) is for those who want to design their own pieced quilts. 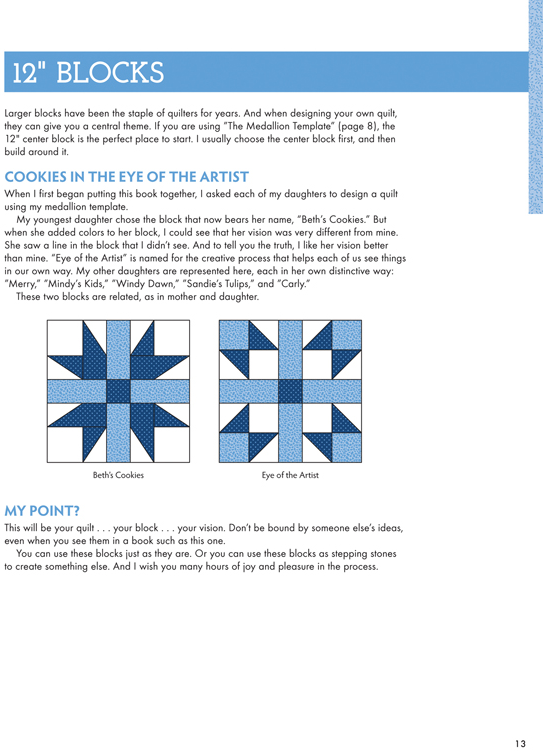 The medallion format is perfect here and you work with multiples of 3, 4, 6 and 12 inches so blocks and borders will all fit together. The change of size adds interest to the finished quilt - you simply choose each element of the mix. 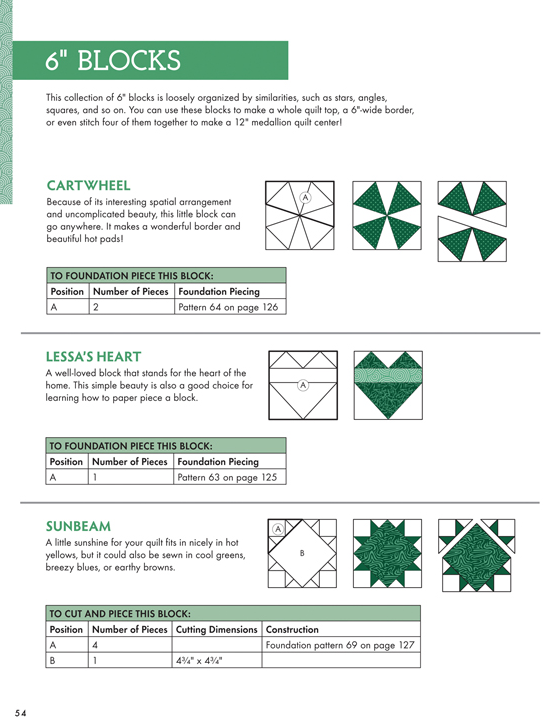 Quick cutting measurements or foundation templates are given for almost 100 blocks plus a variety of border options. The scope is enormous. 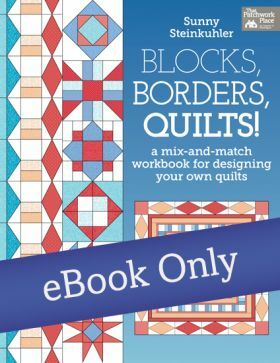 Blocks, Borders, Quilts! A Mix-and-Match Workbook for Designing Your Own Quilts offers something unique to quilters who want a foundation in quilt design: an approach that uses mix-and-match blocks in both the quilt center and borders. 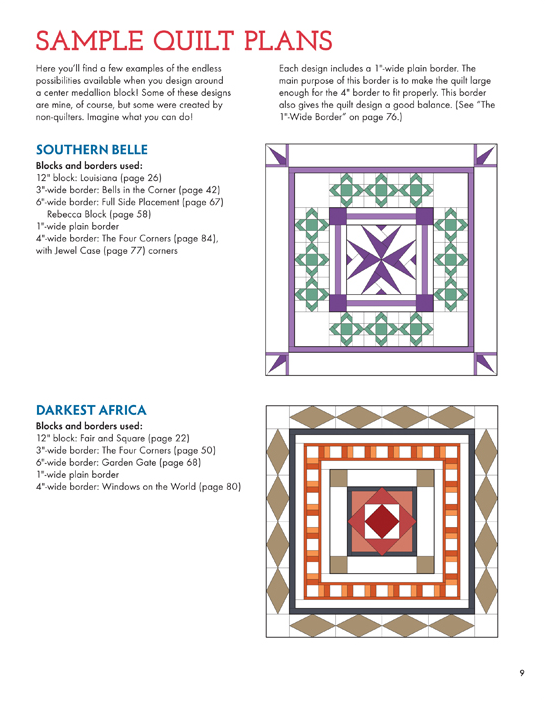 Almost 100 quilt blocks and dozens of pieced borders make for a fine collection packed with ideas for creating original designs. Patterns throughout make this a snap to use, while the instructions lend to a solid set of techniques for creative quilt design. 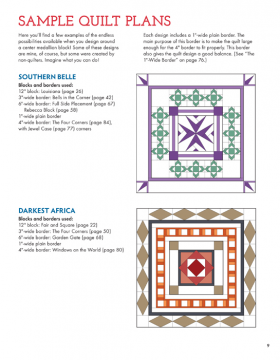 Any quilter looking to take the next step into design will find this a winner! Although she was born in Texas and raised in Louisiana (a very long time ago), Sunny now lives in the cloudy Northwest! 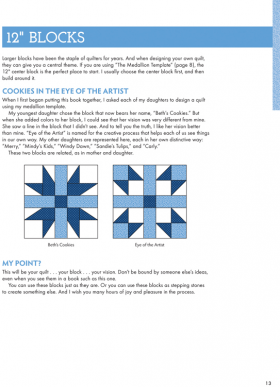 It wasn't until the move to Washington State in the late 1990s that she discovered quilting. And that is greatly due to the Q2 quilt group, which she calls "sisters, teachers, and encouragers, all of them!" Sunny and Greg (her husband of 37 years) have lived all over the United States. They've raised six children. Most of them sew, and all of them are creative. There are 12 grandchildren, at least so far. "One of the great joys in life," says Sunny.